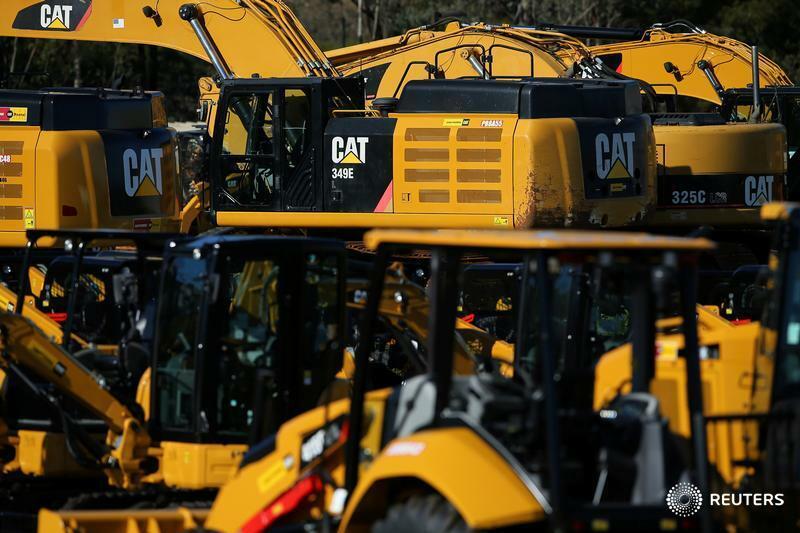 (Reuters) — U.S. makers of bulldozers and other heavy equipment are raising prices, losing sales and in some cases beginning to trim workers in response to the Trump administration's protracted trade disputes with various countries, according to a new report. Advocates of tariffs point to continued job growth and low overall inflation as proof that tariffs are not harming these manufacturers, which include global producers such as Caterpillar, Alamo Group and Terex. Scott Hazelton, a co-author of the report, said tariffs will increase the cost of producing off-road equipment in the U.S. between six and seven per cent over the period. Caterpillar, a key component of the Dow, has said tariffs cost the company $100 million (all figures U.S.) last year. The study notes heavy equipment makers are particularly exposed to higher steel prices. Accounting for all steel used — both directly by these manufacturers and the parts they buy from others — the material represents 18.5 per cent of the cost of a farm machine and 25.8 per cent for mining machines. Gradall Industries is among those getting hit at both ends of their business. The company, a subsidiary of Alamo Group, has seen the price of massive metal castings it imports from China go up by 25 per cent due to tariffs, for instance, on top of higher domestic steel prices. Meanwhile, "our exports to China are down 30 to 40 per cent," said Haberman, due to retaliatory tariffs China slapped on imports of Gradall’s machines and the economic slowdown in that country. The company has three segments — aerial work platforms, cranes and material processing machines.